Language immersion programs have been demonstrated to be effective in reviving and preserving Indigenous languages. They also contribute to improved education outcomes for Indigenous students, as well as social cohesion – resulting in less child and youth involvement in gang activity, alcohol and drug abuse. They can thus contribute to reduced suicide rates and high school dropout rates. The most effective child and youth in immersion programs are those where the development of curriculum and pedagogy are controlled by Indigenous communities. The programs help students develop knowledge about their traditions and culture, and pride in their Indigenous identity. The “Cree Way Project” in Quebec, is an example of a successful language immersion program. 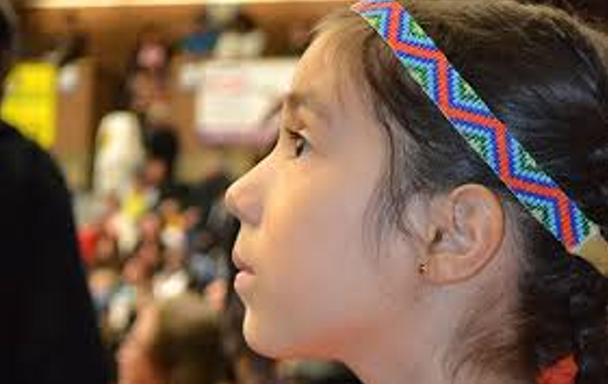 Through the use of culture and language, the program validates Cree identity for the students. The curriculum is based on a conceptual framework originally developed by the Cree of Waskaganish that has since been adopted by other Cree communities in Québec, as well as other Cree immersion programs across Canada. The Cree Way Project has been successful because it is controlled by the First Nation through its school board, as well as receives consistent, stable and adequate funding from both the federal and provincial governments. Source: Coates, T. and Leech-Ngo, P. (2016). Overview of the benefits of First Nations language immersion, wise practices for Indigenous language immersion, and provisions for supporting immersion education in the First Nations control of First Nations Education Act. Canadian Journal of Children’s Rights, 3(1):46 – 67.